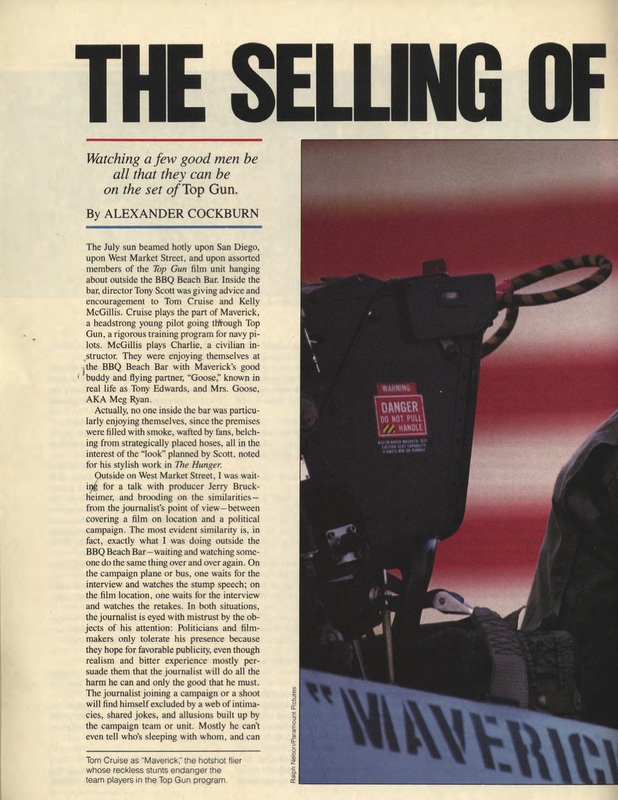 In the 1980s, Ronald Reagan, enthusiastic patriotism and the popular blockbusters of the day — the RAMBO and ROCKY franchises among them — were part of the defining Americana at the nation’s core, which is why Tony Scott’s TOP GUN became a hit, and the highest-grossing film of 1986. 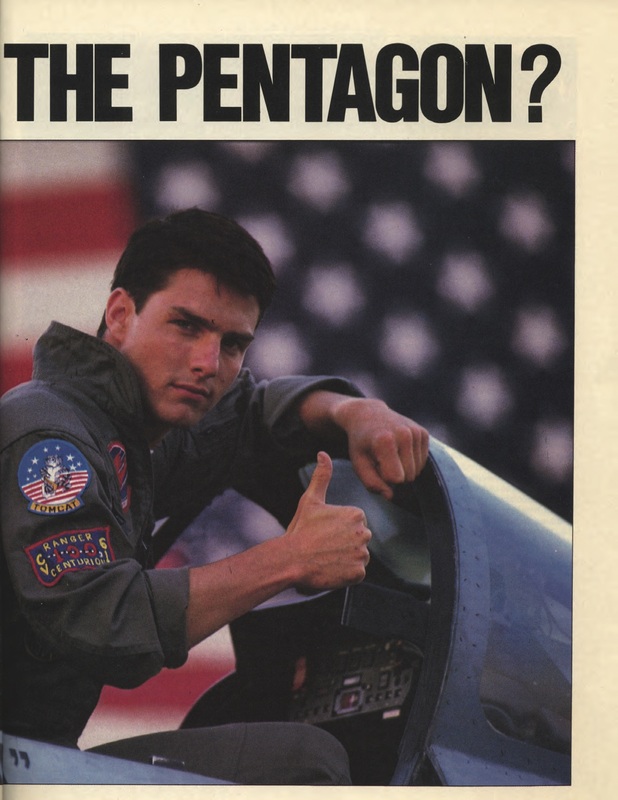 This year marks the 30th anniversary of the iconic aerial actioner starring Tom Cruise and Kelly McGillis. 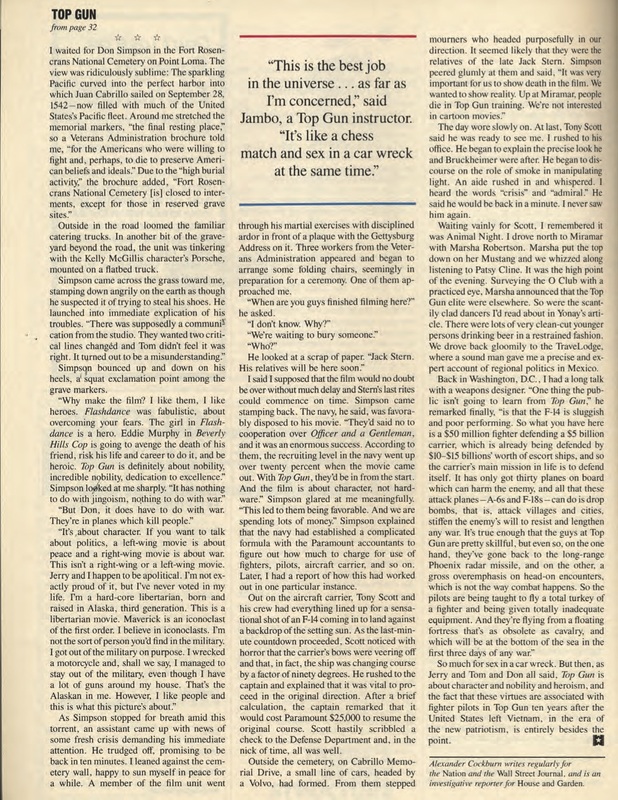 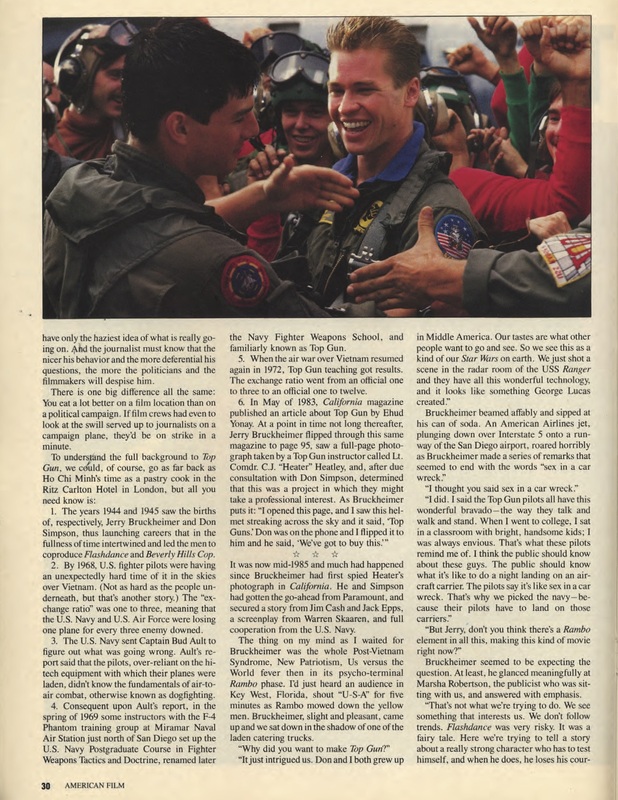 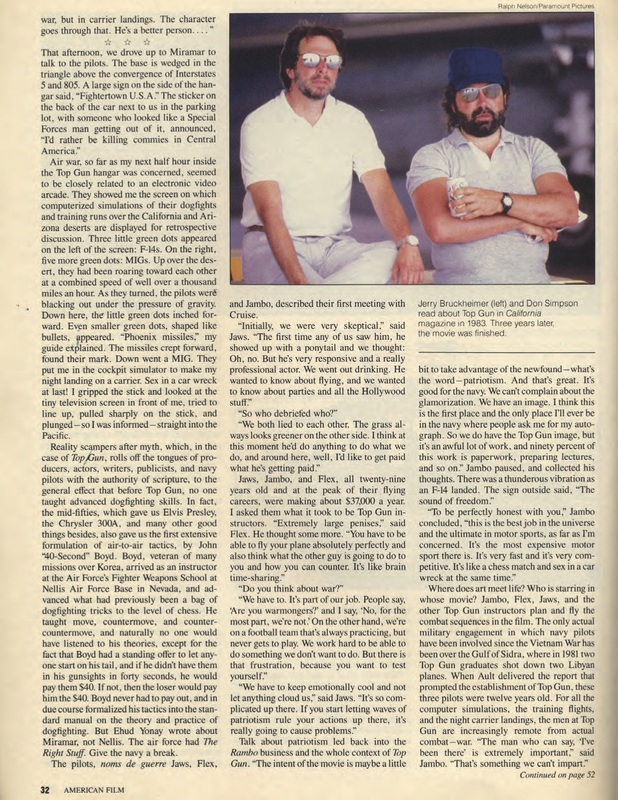 In spirit, we dug up a June 1986 article from the American Film™ archives, featuring interviews with the cast and crew — including Cruise, who plays naval fighter pilot Maverick. 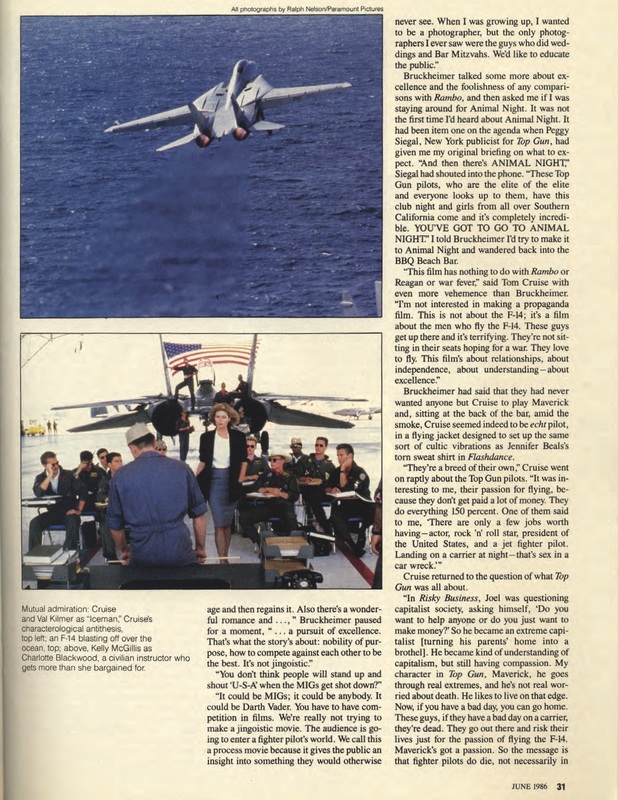 Read the original article — which explains the artistic intentions, mechanics of working with air-to-air tacticians and the real-world impact of the film — below.